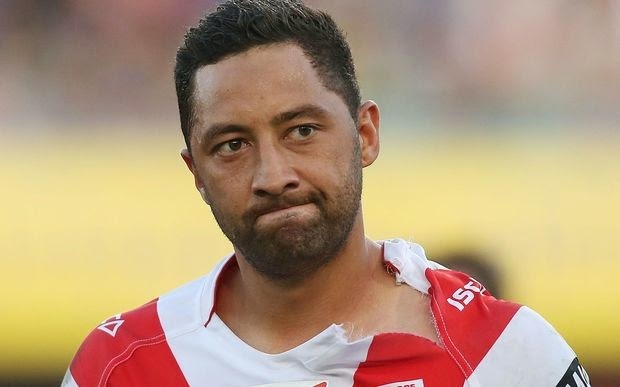 The international rugby league career of Benji Marshall appears to be over. Marshall's been in good form for the St George-Illawarra Dragons in the NRL since returning to league, following an unsuccessful spell in rugby union with the Blues. has now ruled out selecting the 30-year-old Marshall for next week's one-off Test against Australia in Brisbane. Kearney says he's sticking with Kieran Foran at halfback, but is adamant the door has not been shut on Marshall's Test career. "From the selectors' and my point-of-view, we've got the halves who we've invested a lot of time and effort and energy into over the last three years and if they pass fit, then they'll be picked," he said. "If there are injuries to either one of those guys, then we have a couple of options in those positions, but it won't include Benji at this stage." Kearney's due to name his side on Sunday night, but he has a few injury concerns with several players from the successful Four Nations squad unavailable.